Jane Routledge leads the marketing function for Seven Investment Management, 7IM LLP. She has been with 7IM since November 2011 and has been a key part of the team that has developed the marketing function for this growing investment management house over the last few years. 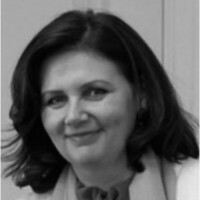 Jane was Head of Communications for Hermes Fund Managers (2007 – 2010) where she also created the marketing infrastructure and directed the brand creation and alignment across a complex multi boutique organisation. Jane also led the cross functional matrix programme of internal engagement to develop and socialise the brand promise. Previously Jane has held senior roles at Invesco Perpetual and Schroders. She also has a wide portfolio of pro-bono work. In particular, Jane supports Coram – the children’s charity. She has served on their adoption panel as well as on the panel of one of their partner organisations for a number of years and lends a knowledgeable and experienced voice to their adoption and fund raising events on occasion. Jane holds an MA in Modern Languages from Cambridge University and an MSc in Organisational Psychology from Birkbeck University.